Dame Barbara Windsor’s husband has revealed the actress has Alzheimer’sand her condition has worsened in recent weeks. He said they had gone public with her diagnosis – made in 2014 – because it had become “a lot more difficult for us to hide”. Alzheimer’s often develops slowly over several years. And experts say it is not always obvious to begin with because the symptoms can overlap with other illnesses. An estimated 850,000 people in the UK are affected by this most common type of dementia. So how can you spot the signs? Alzheimer’s is more than just forgetting things occasionally. Everyone can forget where they left that cup of tea or people’s names – sometimes. Forgetting stuff is also part and parcel of normal ageing. But these aren’t necessarily signs of Alzheimer’s or another form of dementia. Memory loss is much more serious and is often one of the first signs of the disease. Short-term memory is usually affected, making people forget what they’ve done 10 minutes before or forgetting conversations they have just had. 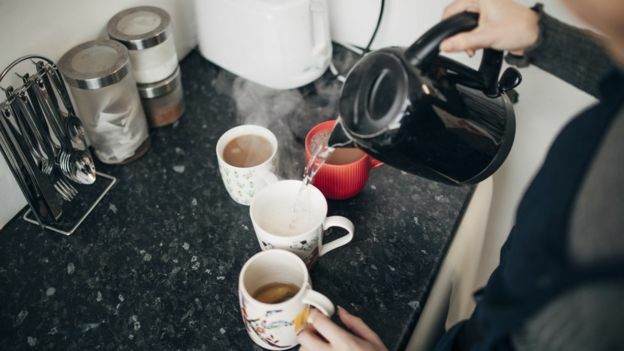 Memory problems can also lead to people repeating themselves, or having problems recalling events that happened recently or struggling with familiar daily tasks, such as following a recipe or using a bank card. Ordinary, everyday activities can become a challenge in the early stages of Alzheimer’s. On the face of it, making a cup of tea isn’t complicated and doesn’t require much thought. However, having Alzheimer’s can make it a very difficult task which leaves people struggling to know what to do next. The changes that come with the condition are often small to start with, but they can become severe enough to affect daily life. The person or their family may notice that they now struggle to use the phone or regularly forget to take their medicine, for example. They can also develop problems with speech and language, such as having difficulty finding the right words. Their appearance may change too in time if they start to find the routine of getting washed and dressed in the morning a bit too much. Getting confused about where you are or why you are there is another common sign. People can get lost, especially in unfamiliar places, and they can become disorientated at home too. They might go upstairs or into another room and not recognise it, for example. Confusion can mean not knowing what day or month it is. Someone experiencing all the symptoms listed above is also likely to show signs of mood or behaviour changes. They might become easily upset or annoyed, get frustrated more often or lose confidence. This might extend to losing interest in daily activities or becoming less flexible and more hesitant to try new things. Anxiety and agitation often follow. 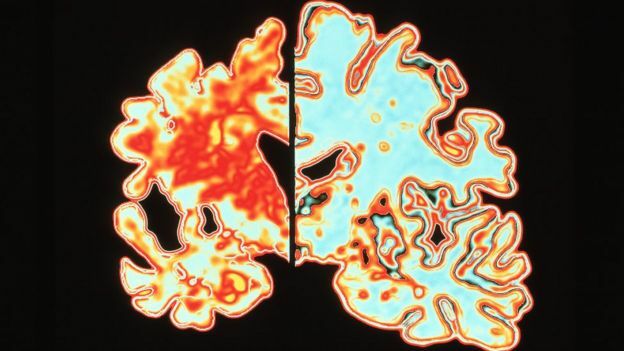 Kathryn Smith, from the Alzheimer’s Society, says dementia “isn’t a normal part of ageing – it’s a disease of the brain”. And it doesn’t just affect older people. More than 40,000 people under 65 have dementia in the UK. She says everyone’s experience is different and no two types of dementia are the same, but most people realise when something is wrong. She says they won’t get the support they need unless they go to their GP. “It is possible to live well with dementia for many years. And a diagnosis doesn’t change you instantly,” Ms Smith says. But she recognises that the stigma of an Alzheimer’s diagnosis means many people do feel isolated and misunderstood if they reveal it. If you are worried about a relative, NHS advice is to encourage them to make a GP appointment and perhaps go along with them. The GP can carry out simple checks, take some blood tests and refer to a specialist to help with a diagnosis. The Alzheimer’s Society has a helpline – 0300 2221122 – for anyone looking for information, support or advice about dementia.